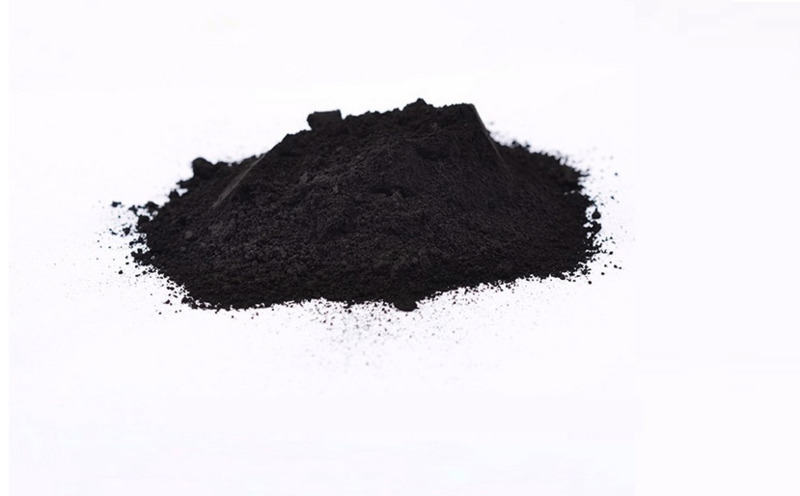 Although activated carbon has become famous as a cure for stomach problems, it also has cosmetic properties that help in the treatment of acne, reduces blackheads, whitens teeth and solves the problem of greasy hair. What other cosmetic properties does activated charcoal have and what is its use? Where can you buy activated charcoal? Activated charcoal, in other words therapeutic, is a fully natural substance and safe for external and internal use. Its porous structure allows binding and adsorption, which attracts pollutants, toxins, and bacteria even from the deeper layers of the skin. As a result, it has cleansing and anti-inflammatory properties, exfoliates dead epidermis and balances sebum secretion. Moreover, it refreshes, brightens and soothes infected skin. Activated carbon will take care of acne, oily skin, and blackheads. Despite the strong anti-acne effect, it does not irritate even sensitive and allergy-prone skin, so it can be used in the daily care. Charcoal thoroughly cleanses the scalp and hair. Removes sebum and impurities, and at the same time provides freshness, volume leaving the hair bouncy. It supports the treatment of dandruff and excessive greasiness of the hair. Activated charcoal can be used as an at-home tooth whitener, which removes contamination caused on the enamel and does not violate it. The effects whitening of activated charcoal can be seen after just one use. In order to prepare homemade cosmetics based on activated charcoal, it is best to cut the capsules and pour out the powder. It’s a lot more difficult to use carbon in tablets; to get the powder, it must be thoroughly crushed in a mortar or blender. Keep in mind that the beauty treatments with the use of activated carbon result in getting dirty everything around. Fortunately, charcoal is easily removed from most surfaces. To prepare it, mix 10 portions of powder with four tablespoons of olive oil and a teaspoon of honey. The face and body scrub you receive will cleanse the skin of impurities, even out its color and remove dead skin cells. Use it once a week, for example, in the shower. Add the powder of one capsule to your shampoo and wash your hair twice a week. As a result, the latter will be clean, fresh and raised at the base. Unfortunately, the hair may feel dry so make sure to follow up with a moisturizing conditioner. To do this, mix the powder from three tablets or capsules with a teaspoon of coconut oil. Thanks to the addition of oil, the paste will be more lubricating and will gain bleaching and antiseptic properties. Use the mixture to brush your teeth thoroughly three times a week for 2-3 minutes until you achieve the desired whitening effect. Later, apply this paste once a week to maintain the effects. Activated charcoal is available at any pharmacy in the form of tablets or capsules with powder. One package does not cost more than a large chocolate, so you can sum up that active carbon is not only versatile, natural and safe, but also inexpensive. On the cosmetics market, it can be found mainly as a component of anti-bacterial and anti-acne cosmetics, such as face masks, face cleansers, scrubs, and soaps. In addition, it is also used in some shampoos and toothpastes. Next » Wrinkle Fillers. Which acid to choose? « Previous How to Effectively Get Rid of Stretch Marks at Home?